If you are like me, you look forward to summertime all year round. From seeing your children enjoying camp to family barbeques and jumping into a clear Ontario lake – there is really no better time of year. This summer season, try to take some time for YOU. Whether it is investing in a natural facial, eating raw foods or picking up a book to improve your spirit and mood – life is too short to not find some little daily pleasures. Click here to view. You won’t believe the results! – Calendula is known as a wound healing herb lending this rich botanical cream properties that reduce inflammation and soothe irritation. On top of drinking lots of water, using sunscreen and a mild cleanser, a hydrating cream preserves the youth of your skin and protects it from the elements. 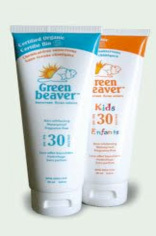 – Quebec-based Green Beaver boasts the formulation of the first 100% certified organic sunscreen in Canada. Finally, a sunscreen you can slather on yourself or your kids without fear of phthalates, dioxanes, parabens and other harmful chemicals! This waterproof, non-whitening product uses the power of zinc oxide to protect skin from UV radiation. It also contains nourishing sunflower and raspberry seed oil. Available at most health food stores and online. – We are crazy for the super healthy and tasty foods “mompreneurs” are turning out. 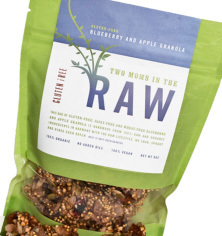 After learning how to manage her Multiple Sclerosis with organic, vegan food, founder Shari Leidrich came up with this homemade granola that contains no refined sugars, wheat or added oils. - Julie Aurora is an ambitious yoga instructor who set out to bring her mom's healthy cereals to the masses when she noticed many of her clients weren't eating breakfast. Her Omega Active organic cereal is the new “breakfast of champions” for those who don't have time to boil an egg or blend a smoothie. Loaded with 500 milligrams of omega-3, 7 grams of fibre and 7 grams of protein, this cereal is a real winner. – We don't often feature canned soups in our newsletter, however Nourish by Campbell's deserves special mention because it's a soup with a cause. Campbell's launched this “meal in a can” in February 2011 as way to deliver 18 grams of protein, two servings of vegetables, fibre, zinc and iron to the 900,000 Canadians who use a food bank each month. At the launch, Campbell's donated 100,000 cans of Nourish to Food Banks Canada and has made 100, 000 cans available for Canadians to purchase for donation in retail stores. Also known as tulsi, Holy Basil is an ancient Ayurvedic remedy that is revered by Hindus to this day for its multiple physical and mental health benefits. In herbology, Holy Basil is classified as an 'adaptogen' or anti-stress agent because it gives the nervous system as much support as it needs to cope with life's current challenges. 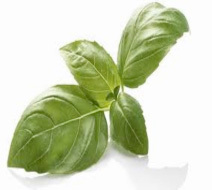 Recent studies have shown that the leaves of holy basil provide significant protection against emotional and psychological stresses such as anxiety, “stagnant” or situational depression, and recovery from trauma. These are some of the inspirational words of Norman Vincent Peale, a Methodist pastor and religio-psychoanalyst. 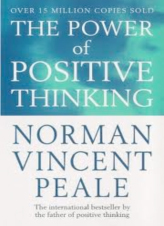 First published in 1952, The Power of Positive Thinking stayed on the New York Times bestseller list for over three years, selling its message of optimism and changing the lives of over 15 million people worldwide. A popular preacher ahead of his times, Peale's belief was that a positive attitude can heal and prevent disease. Indeed, just this past year, the National Institutes of Health granted funding to over 44 studies looking at optimism and its link to cancer, cardiovascular disease and other major disease processes. But don't wait for the studies to prove it! Pick up a copy of The Power of Positive Thinking and experience the difference it can make in your health, your daily life, and your level of professional and personal achievement. Combine marinade ingredients in a large zip-top plastic bag and add mushrooms to bag. Seal and marinate at room temperature for 2 hours, turning bag occasionally. Remove mushrooms from bag and discard marinade. Prepare grill to medium heat. Cut bell pepper in half lengthwise; discard seeds and membranes. Place pepper halves on grill rack coated with cooking spray; grill 15 minutes or until blackened, turning occasionally. Place in a zip-top plastic bag; seal. Let stand 10 minutes. Peel. Reserve 1 pepper half for another use. Finely chop 1 pepper half; place in a small bowl. Add mayonnaise, 1/2 teaspoon oil, and paprika; stir well. Place mushrooms, gill sides down, on grill rack coated with cooking spray; grill 4 minutes on each side. Place buns, cut sides down, on grill rack coated with cooking spray; grill 30 seconds on each side or until toasted. Spread 2 tablespoons mayonnaise mixture on top half of each bun. Place 1 mushroom on bottom half of each bun. Top each mushroom with 1 tomato slice and 1 lettuce leaf. Enjoy open-faced!